If you start to read this book, you will go on a journey with a nine-year-old boy named Bruno. (Though this isn't a book for nine-year-olds.) And sooner or later you will arrive with Bruno at a fence. Fences like this exist all over the world. We hope you never have to encounter one. The Boy in the Striped Pajamas is a short yet very moving read. I'm interested in stories set during the Second World War, so when I saw the movie tie-in edition cover, I knew that I have to read this book. I read this while our province was experiencing Typhoon Glenda. We had no electricity so I finally had time to read without any distractions. The Boy in the Striped Pajamas follows the life of Bruno when he and his family moved from their five-storey house in Berlin to a three-storey one in Out-With. Coming from a wealthy family, knowing only abundance in life, and being only nine-years old, life in Out-With would not be that easy. Until he meets a new friend- the boy in striped pajamas. As I've mentioned earlier, stories about the World War II interest me. 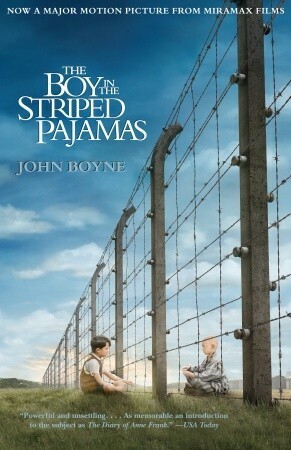 I've read books and watched films about the war but The Boy in the Striped Pajamas brought another side to the story. It's refreshing as I haven't read or watched anything like it before (I haven't watched the movie yet). Told in the eyes of Bruno, a nine-year old boy and son of a German officer, the story was approached with innocence and simplicity. I liked how the author, John Boyne, was able to convey such innocence about what's going on yet at the same time bring to the readers the sorrow and pain of the war. I was able to predict the ending so I had a chance to prepare myself. Nonetheless, the sadness was still there. Casualties of war go beyond those who died in the battlefield. In war, everyone is a victim. Each chapter, though short, is relevant as each explores the characters in the book. And, I believe, they all made an impact on Bruno's life. Aside from Bruno, Shmuel is also an interesting character. He, too, faces the war with innocence. But unlike Bruno, his eyes are not exempted from the brutality of the Nazis. Though he can't grasp the whole situation he's in, deep down he knows that something is wrong. My other favorite characters were Maria and Pavel. They're minor characters but I was able to relate to them. I just couldn't help but feel sad and angry about their situations, about their unheard sentiments. I have a love-hate relationship with Bruno's father, the Commandant. But at the end, I still felt for him. And I know that the incident opened his eyes and his heart. I liked how the innocent POV was strengthened by the way the characters and the places were described and also by the use of Fury (Fuhrer) and Out-With (Auschwitz). I liked how John Boyne was able to relay the sides even of the minor characters, and how no chapter is wasted as each tells something relevant to the whole. This book brought out mixed emotions that are both familiar and new. It's not only a story about war, but also of friendship and life in difficult times. I was born in Dublin, Ireland, in 1971, and studied English Literature at Trinity College, Dublin, and creative writing at the University of East Anglia, Norwich, where I was awarded the Curtis Brown prize. My early writing consisted mostly of short stories and the first one I published, The Entertainments Jar, was shortlisted for the Hennessy Literary Award in Ireland. Many of my stories have appeared in magazines and anthologies. I’ve published 8 novels for adults and four for younger readers, including The Boy In The Striped Pyjamas which was a New York Times no.1 Bestseller and was made into a Miramax feature film. It has sold more than 6 million copies worldwide. 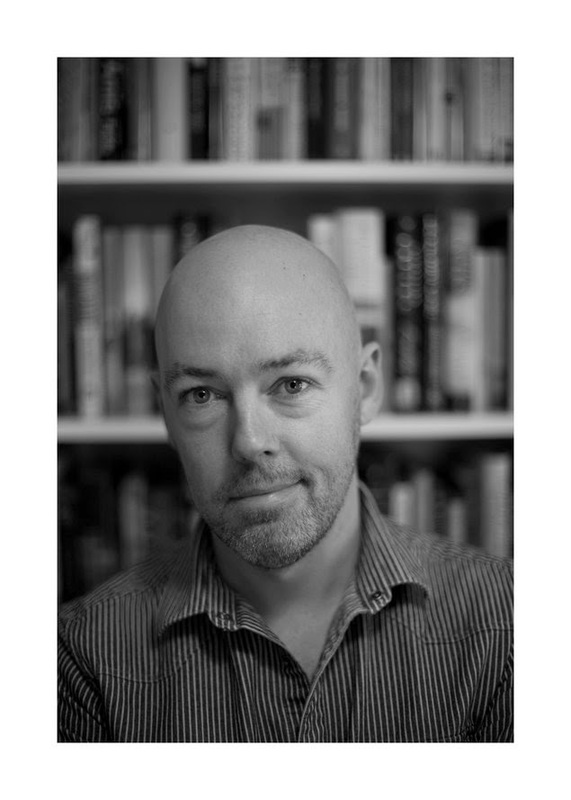 I am also a regular book reviewer for The Irish Times and have been a judge for both the Hennessy Literary Awards and the International IMPAC Dublin Literary Award (Source: John Boyne Website).